Moving Group offers a quality door to door moving service across Estonia. To give us an idea of the equipment and workforce needed for the move, you can send us an e-mail with a description of the items, if possible the amount of items in cubic meters and measurements of bigger items, such as beds, mattresses, counter tops and shelving units. If this is too inconvenient, you can also send us images. You can also ask for our Moving Group foreman to come and inspect that the items are properly packed and give you a personalized quote. The evaluation is free of charge within Tallinn. Our movers are true professionals of their field: quick, reliable and polite. Your items are fully insured by Moving Group OÜ, in case something was to happen to them. Customer satisfaction is our primary goal. Therefore, our aim is to provide a move on your terms - as stress free as possible. Our movers can assist you with packing and, assembly and offer their professional advice throughout the entire process. Contact us and we’ll guarantee you an effortless move. For a personalized quote, call us at (+372) 50 99 511, send E-mail to info@movinggroup.ee or fill out all fields below. Moving Group offers a personalized moving service for businesses in Estonia and the EU area. Our movers are trained professionals, who will assist throughout the move the move, starting with pre-planning. We’ll move, disassemble and reassemble your office furniture. Moving Group will make moving a stress-free experience for you. You can also ask for our Moving Group foreman to come and inspect that the items are properly packed and give you a personalized quote. The evaluation is free of charge within Tallinn. Your items are fully insured by Moving Group OÜ, in case something was to happen to them. Moving Group offers a personalized moving service in Estonia and the EU area. To give us an idea of the equipment and workforce needed for the move, you can send us an e-mail with a description of the items, if possible the amount of items and their volume in cubic meters. We would also prefer to get the measurements of bigger items, such as beds, mattresses, counter tops and shelving units. If this is too inconvenient, you can also send us images. You can also ask for our Moving Group foreman to come and inspect that the items are properly packed and give you a personalized quote. The evaluation is free of charge within Tallinn. Our movers are true professionals of their field: quick, reliable and polite. Your items are fully insured by Moving Group OÜ, in case something was to happen to them. Customer satisfaction is our primary goal. Therefore, our aim is to provide a move on your terms - as stress free as possible. Our movers can assist you with packing and, assembly and offer their professional advice throughout the entire process. Contact us and we’ll guarantee you an effortless move. We offer our office moving services in Estonia and the EU area. Our movers are trained professionals, who will assist throughout the move the move, starting with pre-planning. We’ll move, disassemble and reassemble your office furniture. You can also ask for our Moving Group foreman to come and inspect that the items are properly packed and give you a personalized quote. The evaluation is free of charge within Tallinn. Moving Group will make moving a stress-free experience for you. Your items are fully insured by Moving Group OÜ, in case something was to happen to them. Your items are fully insured by Moving Group OÜ, in case something was to happen to them. Assembly and disassembly of furniture Furniture assembly and disassembly is handled by experienced professional assemblers. To ensure that the furniture is assembled correctly and quickly, we would prefer if you have the assembly instructions. Even if you don’t, contact us and we’ll figure out a solution. Moving offers a chance to spot and get rid of unwanted items. We can handle unwanted furniture, clothes, home entertainment electronics and consumer appliances. We cannot handle construction waste, organic waste or hazardous waste. For you, the process is extremely simple: pick out the items you wish to dispose of and we’ll handle the rest. We’ll pack and transport the items to the nearest waste collection and recycling centre. Price of the disposal depends on volume of the items. Moving Group can deliver your goods across Estonia. If you need a package or a maximum of a vanload of items delivered from A to B, as quickly as possible, contact us and we’ll guarantee that your items will be delivered swiftly and safely. When you need items to be delivered to within the EU, contact us and we’ll guarantee that your items will be delivered swiftly and safely. 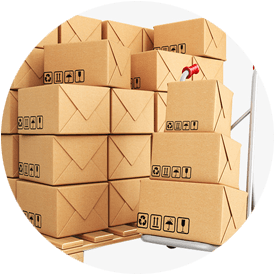 The maximum limit for items is a vanload, as we deliver the items ourselves, personally. 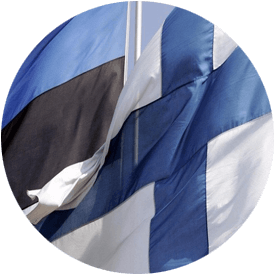 Are you planning to move between Finland and Estonia or moving to a new house or office space within Finland? Feel free to contact us! 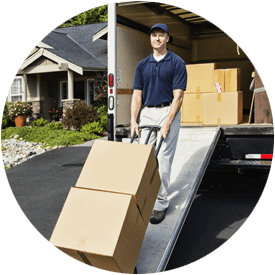 We’ll move your possessions from door to door effortlessly. To give us an idea of the equipment and workforce needed for the move, you can send us an e-mail with a description of the items, if possible the amount of items and their volume in cubic meters. We would also prefer to get the measurements of bigger items, such as beds, mattresses, counter tops and shelving units. If this is too inconvenient, you can also send us images. Our movers, with years of experience, are used to working in both countries, and most importantly, our prices are affordable. Your items are fully insured by Moving Group OÜ, in case something was to happen to them. Whether you’re a private person or a company and need help with certain jobs. Feel free to contact us. Our personnel can help you in various tasks, such as loading cars, packing and transporting goods and disassembly and reassembly of furniture in your home or workspace. Moving Group is equipped to handle both small and bigger warehouse moves. Moving warehouse requires us to survey the items wished to be moved beforehand. This is so that we can evaluate the workforce needed and give and estimated quote. The evaluation is free of charge within Tallinn. Our moving services to the wider European area are specifically tailored to make the move as stress-free as possible for you. If your possessions fit in our van, we will deliver it personally from door to door. If this is not the case, we will personally pack your possessions on pallets to be shipped, this is done to avoid negligent handling of your possessions. After which, the items will be delivered by a professional courier company to your desired destination, where our movers will be waiting already (not 3rd parties). We believe that this minimizes the risk of damaging or misplacing of possessions, as the most common reason for damages is repeated repackaging. Your items are fully insured by Moving Group OÜ, in case something was to happen to them.